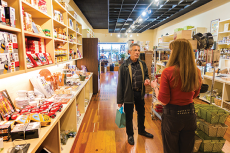 Husband and wife team Constance and David Jesser are off to a dashing success with their new kitchenware and gourmet provisions store here in Ashland, Oregon. Named The Culinarium – meaning (Lat. Def: pertaining to culinary, kitchen) is a food lover’s paradise. This is the store for the kitchen aficionado, the home and professional chef. 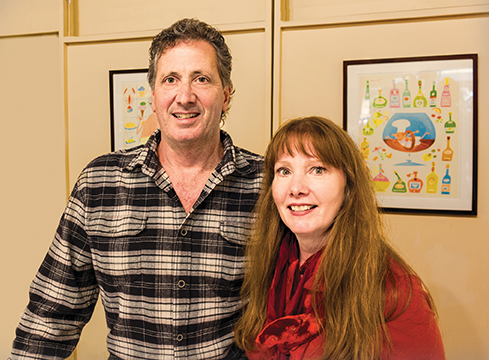 Twelve year residents of Jacksoville, David and Constance are the former owners of the Jacksonville Mercantile. 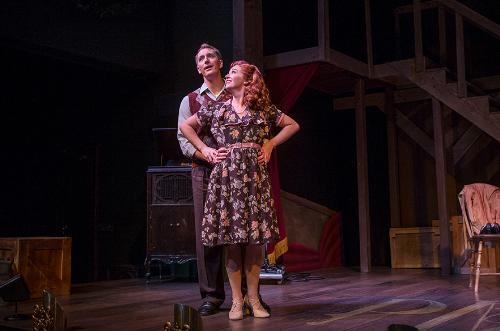 They are also highly community minded individuals as David serves as the president of the Jacksonville City council and Constance enjoys participating in fund raising through local theatre and The Pear Blossom Festival. We met with David and Constance today to tour The Culinarium. Hi David and Constance. Congratulations on The Culinarium. Ashland and the Rogue Valley rejoice! How has the reception been so far? Shields, we must say that we have been quite overwhelmed with the level of gratitude and appreciation that is being given to us as we embark on this new food lover’s adventure. We are often reminded of the love that a former business shared with the community. Many say thank you to us for filling the niche that Allyson’s of Ashland held for so long. We are also quite blessed to have the following of so many loyal, former patrons of the Jacksonville Mercantile who now come to Ashland for their wares. We have become aware that we are now closer to most of them! It is sure to be a journey filled with kitchen innovation, creativity and joy. Constance, please tell us about your inspiration for opening your store here in Ashland. 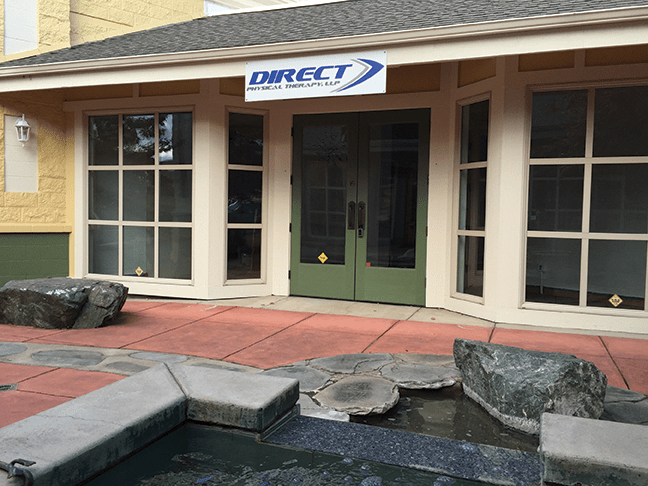 The inspiration to move to Ashland was motivated by the realization that our building in Jacksonville was up for sale and that we had lost a secure lease. David and I also wanted to have another adventure but did not want to leave our beautiful valley, as we have many great friends and a deep love of our community. 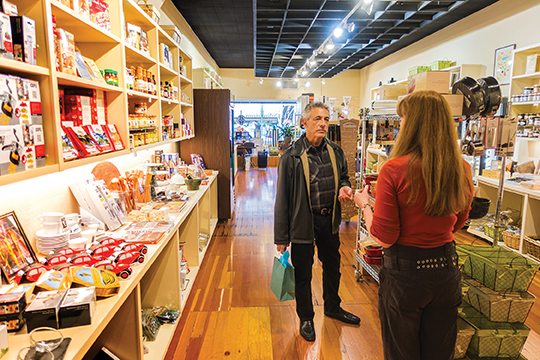 Knowing how strongly the Ashland community supports its local businesses was another reason to open here. We also knew that Ashland was filled with foodies and that many of our loyal clients who ventured to Jacksonville were now going to be closer to us. We hunted down locations and when the space at 270 E Main became available we made the decision to take the leap of faith. The community has been so warm and welcoming it makes me smile every day. I’d love for you to take us on a tour of the store. Sounds great, a tour it is. As you walk in the front door at 270 E Main St, the first thing you note, if you had shopped with us in Jacksonville, is we have a similar layout with counter and shelving running the length of the store on both sides. As you walk through counter clockwise you start out with All – Clad stainless and one of our best sellers, a hybrid of stainless and non- stick, Black Cube cookware. 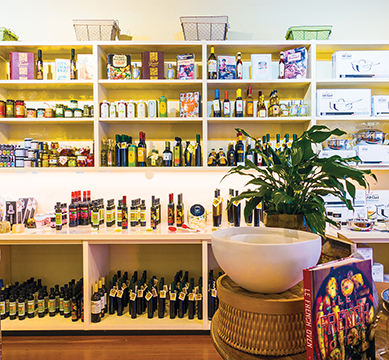 Further along find our private labeled balsamics, infused avocado oils and a wide variety of other oils and vinegars, many available to taste. Next is a mixologist’s dream. A collection of specialty bitters, Vermouth and innovative barware. 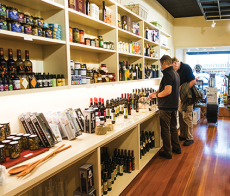 Next you will find the refrigerated section which houses caviar, cheeses, cured meats and more, yum. In the rear find Emile Henry Ceramics, Mauviel Copper and other food items such as mustards, BBQ and hot sauces, seafood, (including escargot) and more. Throughout the store find an array of German Engineered culinary gadgetry and wide array of quality kitchen tools. 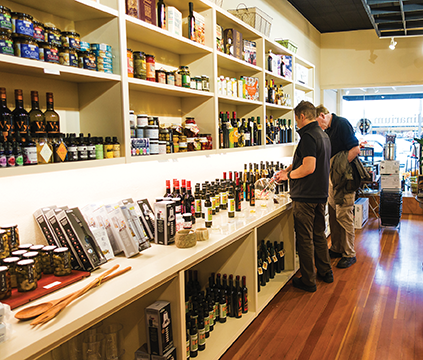 Rounding out the tour on the other side of the floor find wine, sweets, sugar, spices and sea salts, extracts, jams, jellies, pasta, demi- glace, cookbooks and ……. the list goes on. What a great and thoughtful flow you have setup. Thank you. We appreciate when people feel warm and welcome. 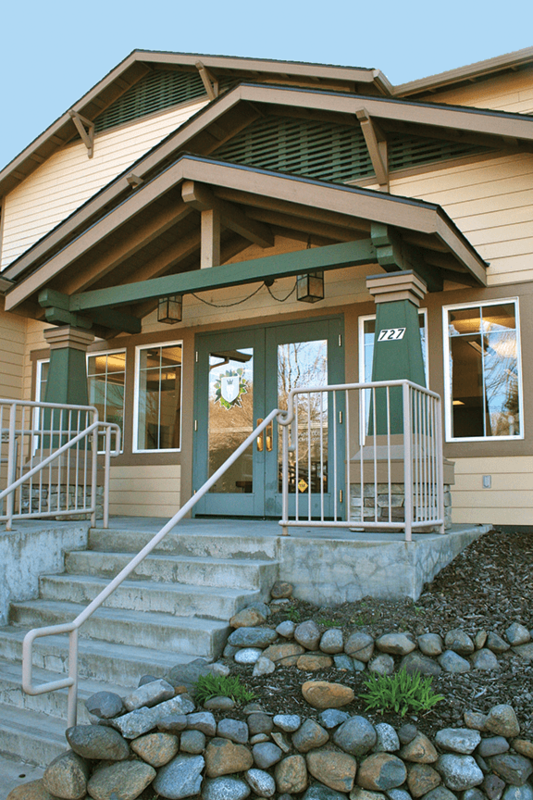 We took all the things that worked at our former location and attempted to utilize those lessons here in Ashland. We believe that the experience at The Culinarium should not only stimulate your taste buds, but should stimulate all of your senses. From the music to the smells to the use of LED lighting to reduce our energy footprint, heat and glare. We really do like the way it turned out. We prefer a store that isn’t overly cluttered while still providing the variety that is necessary to satisfy a wide range of wants and needs for the home and professional chef, as well as the individual looking for that certain special gift to give to a valued client, friend, loved one or themselves. I notice that you have a large line of private label products. Please tell us about these products. Private labeling products entails quite a bit of extra work. One has to have researched and found private-label manufacturers who are high-quality, consistent and not cost prohibitive. That is one of Constance’s expertise, finding the right stuff. These products all carry the JM label which contains our original business name, logo and parent company. You can find those products and other products online at www.AshlandCulinarium.com.We have developed quite the selection of high quality products under our label and we recommend a visit for a taste. David, with the expansion to Ashland I notice that you have expanded to carry high end kitchenware products please tell us about them. 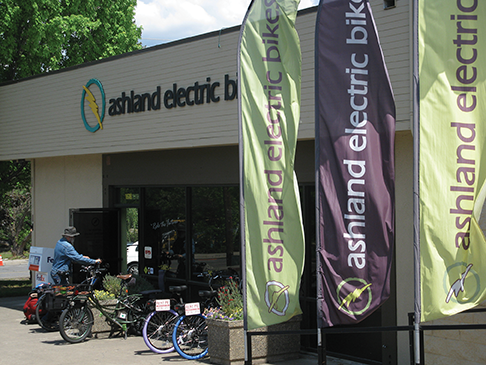 We have discovered that Ashland is a place where people want the best in life. Be it finding stillness, enjoying nature, music, theatre or art. It seems the same for their culinary interest, so the best is what we have brought to town. We already had an inventory of great global foods, but now you will find other products. Brands the likes of Shun and Laguoile, GEFU, Trudeau, Roost and Berard. That means beautiful stainless knives and cutlery, Olive Wood and teak utensils, Japanese Blades, German Engineered kitchenware and Made in America Stainless. We are committed to bringing you the finest. I know you are just getting started but what have been some of the key things people are coming in for? Interestingly, besides our great inventory, the biggest thing people come in for is to check us out, say hello and thank you for coming to town. We have heard how much Ashland needed a kitchen store and that is what we are bringing. Others come in to find out when Constance will start doing cooking classes. We are pleased to say that this is coming together quickly and we expect to see a schedule that will be starting in the New Year. Come in to sign up for her monthly newsletter and e-recipe list to stay informed or like us on Facebook. In addition to being busy entrepreneurs you both are also very community minded. Please talk more about your involvement in community. David: When we open the Jacksonville Mercantile 11 years ago I was encouraged to get involved with the city of Jacksonville as both a business and homeowner, something there wasn’t much of in town. I started out as a planning Commissioner and then 6 years ago was appointed and then elected to Jacksonville’s City Council. Today I am president of the Council and was just reelected for another 4 year term. It isn’t an easy job being a budgeter, a listener and an adjudicator, however the rewards are many as we bring a community together on a range of issues. Constance: Having been a part of the Pear Blossom Festival Pear-A-Fare team for over 9 years I was on the original team of people who were challenged to add a food and wine event to the on-going Pear Blossom Festival to expand the reach to foodies and bring more people into the Rogue Valley to stay and play. I also have been involved with Meet the Pioneers fundraising event which takes place in the Jacksonville Cemetery and the proceeds goes to preservation and restoration of the Cemetery. Both of us believe that it is very important to give back to the community and our time being most precious is our most generous way of giving back. On top of being involved with something you both deeply enjoy. What has been the secret to your success together! Love and patience. We each bring a different perspective and key element to the business. Constance is a tremendous buyer and fabulous culinary teacher. 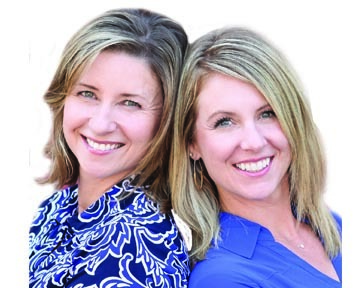 I pick up the pieces as the bookkeeper, marketer and we both work the floor engaging with our clients to ensure a satisfying culinary adventure. Are you looking for any employees at the moment? In a nutshell, yes we are. We felt we needed to get our routine and products in place before bringing in a new team member. We are just now putting out feelers to find someone who is the right fit for of our family. We have always been fortunate to find passionate foodies who share our vision, most of whom had been shopping with us for years. When it’s the right time for us all, it will happen. David, please tell us about your holiday gift baskets? What is one of the best gifts to give on holidays or to any special individual for any notable recognition? People often say they are looking for the gift for someone who has everything. As my Grandmother would say, “Well, they gotta eat!” We can help you create a customized basket or we can make it easy for you by having us create a gift basket based on your budget. We think a basket filled with specialty foods and kitchen gadgets is a great way to show your appreciation or love or to just say thank you. If you are lucky, maybe they will share the bounty. Last but not least Constance can you offer some suggestions for holiday gifts? Almost anything in the store is a perfect holiday gift, particularly for the chef in your life. Gift baskets filled with goodies, new high performance cookware or any of our wonderful selection of small hand tools which will make a perfect stocking stuffer and be useful in the kitchen for many holiday seasons to come. We look forward to sharing the joy throughout this season and want to wish everyone a healthy, happy and delicious holiday.